The Pillow Bed from All For Paws is a soft faux fleece pillow that is made from sustainable materials and keeps dogs warm and comfortable. All For Paws specialises in designing unique and stylish products for dogs and cats. The team behind All For Paws is committed to creating products that both meet the needs of animals and fit the lifestyles of their owners. All For Paws describe their products as useful products with a story and a purpose. All For Paws products are available worldwide and also from Vetsend.co.uk. 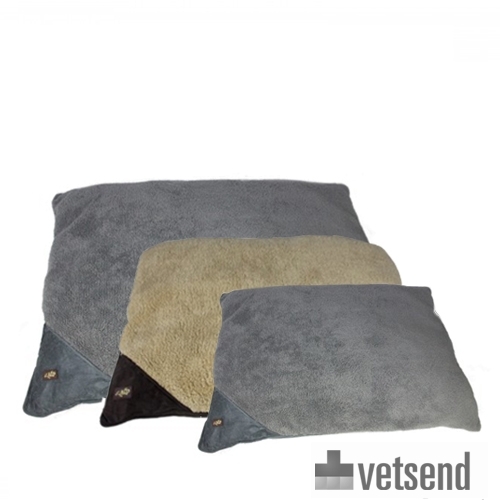 The All For Paws Pillow Bed is made from soft faux fleece which feels warm and comfortable. The Pillow Bed is available in 2 colours and 3 sizes, and the removable cover is fully washable at 30 degrees C.
Have you used AFP Pillow Bed before? Let us know what you think about this product.